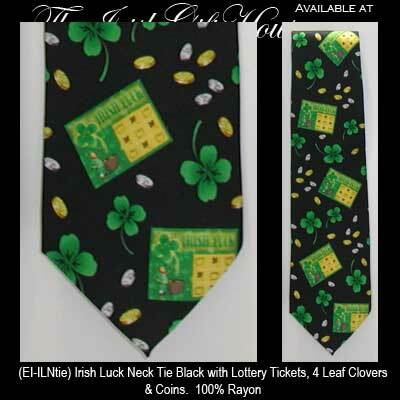 The Irish tie features a design that includes four leaf clovers along with coins and lottery tickets. What could be luckier that this Irish tie with lottery tickets, four leaf clovers and coins? This lucky tie from The Irish Gift House is made of black rayon in the United States.